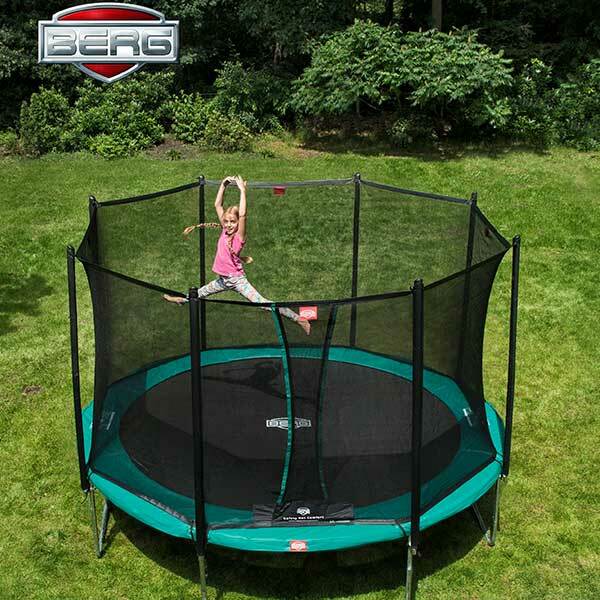 BERG Favorit Regular Trampoline with Comfort Safety Net. Berg Favorit Trampolines are a market leader and if used correctly are very healthy, great fun and can be of benefit to all the family. 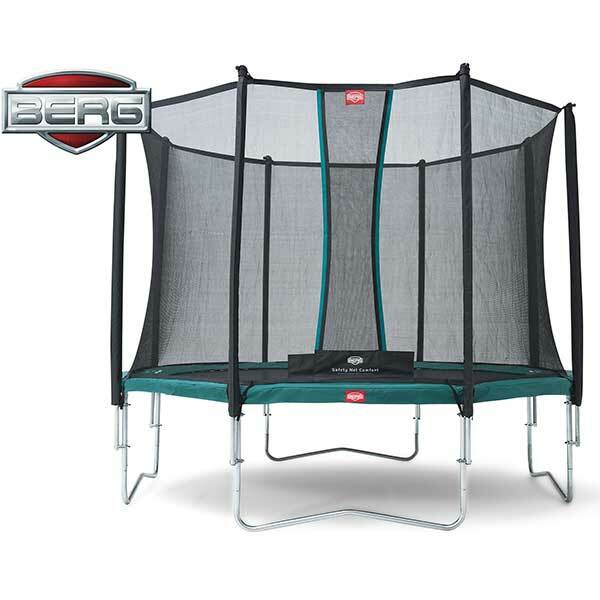 The BERG Favorit trampoline is now available with the BERG Safety Net Comfort in a handy package deal. Trampoline jumping with the highest safety. 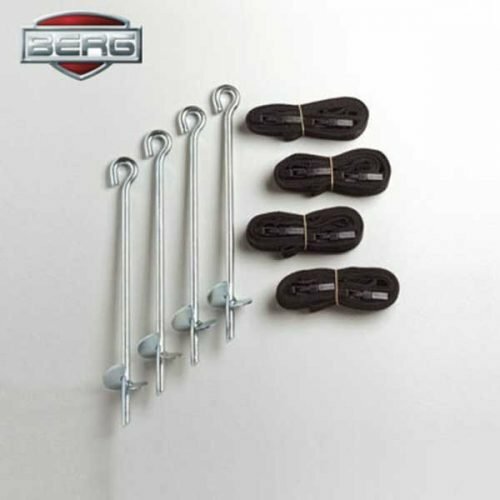 It is extra safe due to a high quality and wide protective edge so that the springs are safely covered. 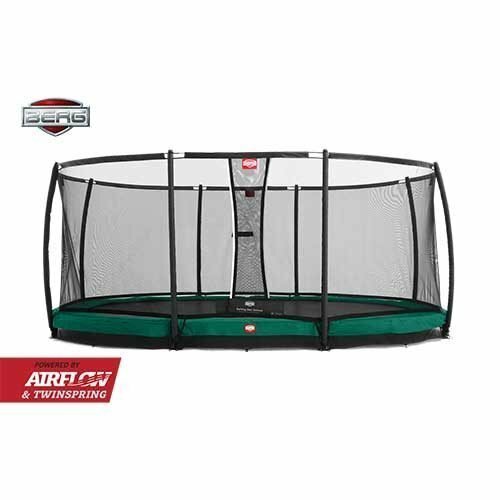 The BERG Safety Net Comfort is easily accessible with a secure self-closing entrance with a recognisable green stroke. 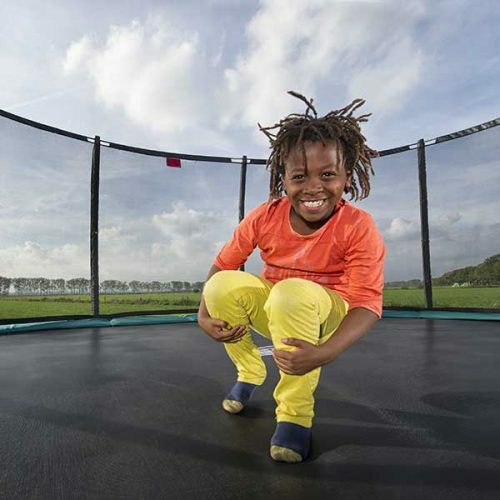 The unique click system prevents the net from becoming detached from the trampoline.